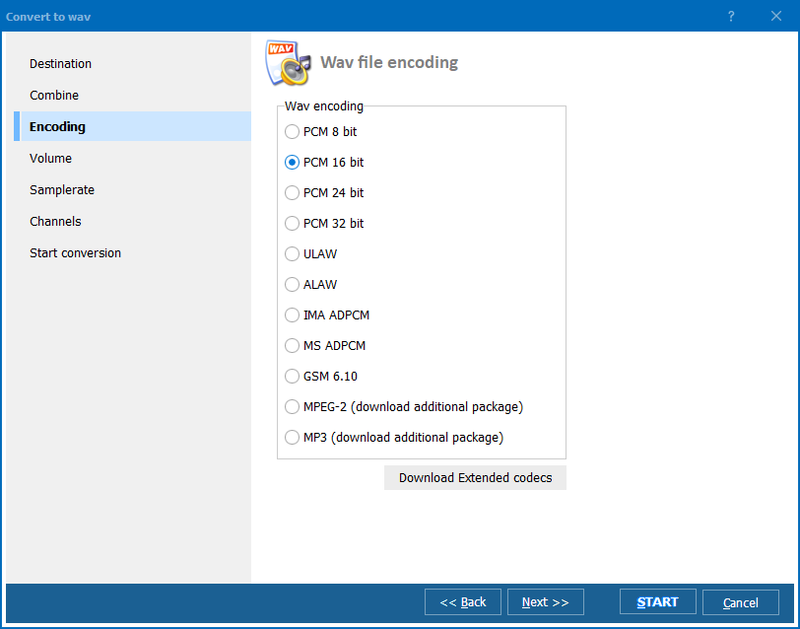 Why and how to convert WMA to WAV? 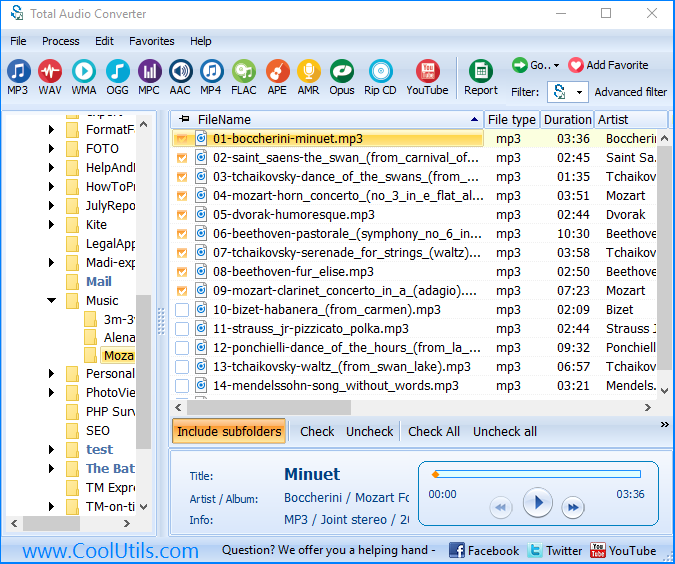 You are here: CoolUtils > Total Audio Converter > Why and how to convert WMA to WAV? Suppose you downloaded a track from the web in some rare format and want to convert it to mp3. Or need to get your songs from CD to iPod. So you go to Google.com and type 'Audio Converter' in the search field. And get hundreds of result pages. Then you need to go to at least 5 of them, read long ads and features and benefits. Then download and try each. After a week of tortments you finally know what each audio conveter can do and happily buy the one you liked most. Stop! We do not want you to do all the routine. We have done it for you. And here is the table with the results of our comparison of 9 converters. Why 9? We just searched Google and MSN for 'audio converter' and took those that were on the first pages of search results. 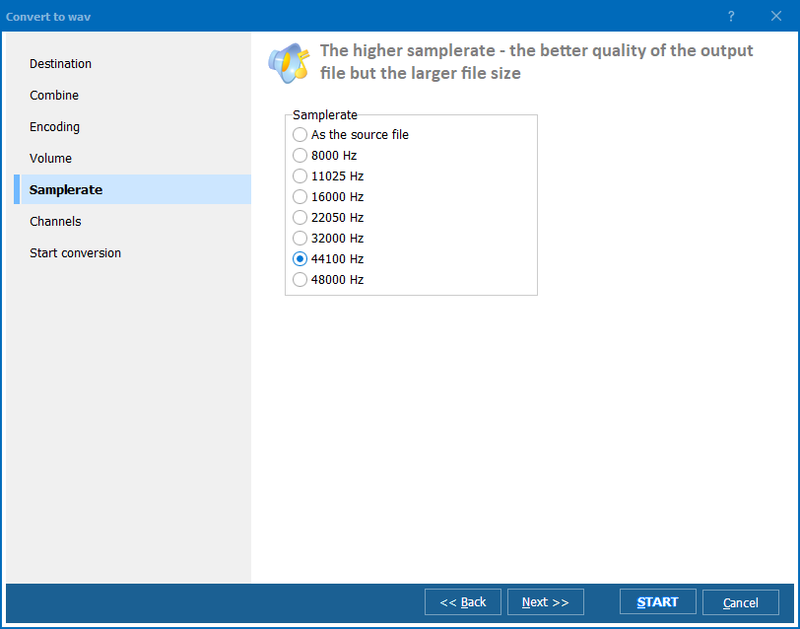 Take a close look at that to decide what audio converter you need. www.softdivshareware.com/ $22, uprgades for a year Mp3,wav,wma,ogg,vox,cd yes yes no yes no Good A good simple tool, can also work as CD player and mp3/wav/wma/ogg player with visualization. Right-click option is available. www.blazemp.com/ $50 (no price at the site, you have to go to purchase page to know it!) MP3, MP2, OGG, ASF, MPG, AVI, WMA, MOV, QT, WAV, CDA, VOX, PCM, MPC, G.726, G.723, G.721, DAT, ASX, MIDI, AIFF, AU, SND yes yes no yes no Good Powerful, fast to download, a bit copmlicated for a newbie. Extracts and saves audio content of video files. Reminds me of PhotoShop: can do almost everything, but most people use 1/10th of its power. www.fairstars.com/ $25, free upgrades WAV, RM, RA, AIFF, AU, VOC, PVF, IFF, SVX, APE, FLAC, OGG, VQF, MP1, MP2, MP3, WMA, WMV, ASF no yes no no no Good, drag&drop Fast and easy-to-use, the quality of wma conversion is not very high. Supports automatic volume adjustment. www.coolutils.com/TotalAudioConverter $24.90, life time free upgrades MP3, RA, APL, MPC, MP+, M4A, MP4, TTA, OFR, SPX, WAV, OGG, WMA, FLAC, CDA, ACC, APE, MPP, WV, XM, IT, S3M, MOD, MTM, UMX. yes yes yes no yes Very good, Wizard to guide through the process Powerful - supports most formats, fast to download, easy to set up, very easy-to-use. Right-click option is awesome. Command line is available. Vista compatible. www.dbpoweramp.com/ $14 mp3, mp4, m4a, WMA, Ogg, AAC, Monkeys Audio, FLAC yes yes yes no no Very good Right-click option, volume normalize & DSP Effects were good. Mostly standard audio utility. http://www.audconv.com/ $24.90 WMA, MP3, AIFF, OGG, Wave, AU, SND, MIDI, MP4, AAC, FLAC, QCP, APE, AC3, RA, CDA yes no no no no Satisfactory Very slow to download, froze when we tried to install it, slow to convert. No, we didn't like that. http://www.www.riverpast.com/ $39.95, free minor upgrades AVI, M4A, MKA, MOV, MP3, OGG, RA, WAV, WMA no no no no no Not nice, too simple Too costly for so limited options.